Size : 22.0 x 22.5 mm. Weight : 10.35 grams. Grade : XF but the metal is just a tough grainy from cleaning. 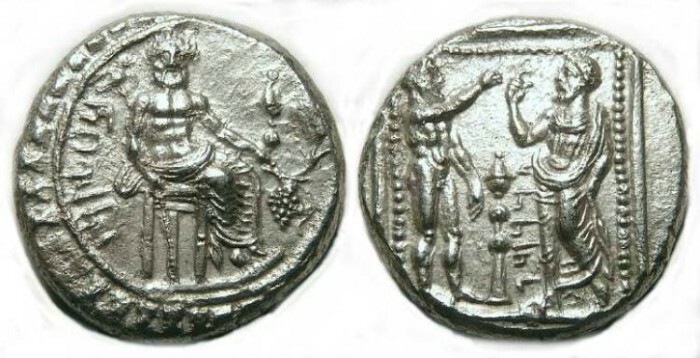 Reverse : Datames standing left raising his hand in veneration towards Ana the sky-god who is pointing toward Datames, with a thymiaterion and an Aramaic legend naming "Tadnmu" between them.